Media Size: 8" x 9.87"
QuickNotes weekly/monthly planner offers two-page-per-week and two-page-per-month spreads from January to December. The weekly pages include 8 AM to 5 PM daily sections including weekends and past, current and three future months reference. For monthly spread, the full month is on the left page with two past and six future months reference, and QuickNotes is available on the right page to hold valuable information. 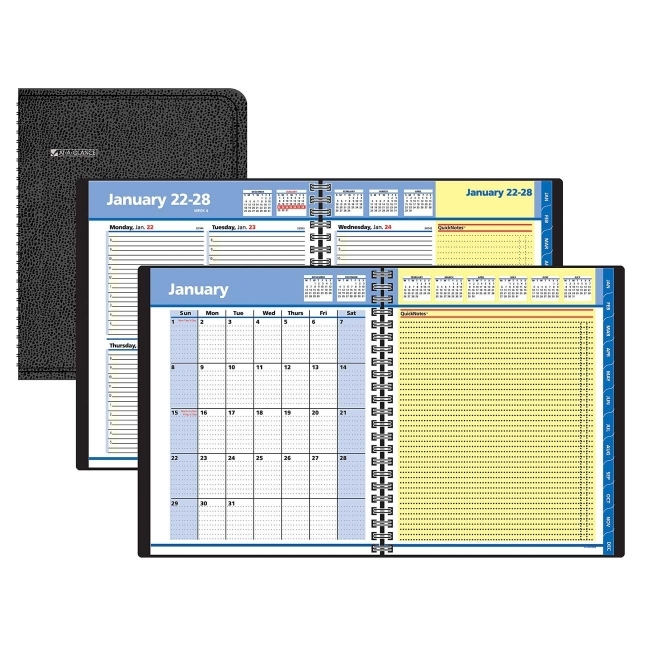 Wirebound planner features a ruled format, simulated leather cover, full current calendar and a storage pocket. Pages are made with at least 30 percent post-consumer material. Nonrefillable.